Louis Porter Jr. Design Inc. is an independent entertainment and game publishing company created in 1997, located in Cooper City, Florida. Louis Porter, Jr. Design, Inc. is a dedicated game publishing company specializing in the development of high-energy action and hyper-kinetic adventure settings. Their first successful venture, Haven: City of Violence. Louis Porter Jr. Design has also released the best-selling NeoExodus: A House Divided RPG setting and the upcoming Xao: Island of Iron and Silk RPG mini-setting. Louis Porter Jr. Design Inc. also produces Adobe Acrobat PDF material based on the Open Gaming License created by Wizards of the Coast for sale on RPGNow and DriveThruRPG. Louis Porter Jr. Design has recently created Deathmate Records, and independent digital music netlabel. With their movie optioning by Brigade Entertainment only helped solidify the Haven: City of Violence brand and Louis Porter, Jr. Design as innovating and important gaming company on the rise. Email: contact@lpjdesign.com. Erik Scott de Bie is a 30-something speculative fiction author and game designer. He has published eight novels to date, including novels in the storied Forgotten Realms, his World of Ruin epic fantasy setting (Shadow of the Winter King  and the forthcoming Shield of the Summer Prince ), as well as stand-alone novels for Broken Eye Books (Scourge of the Realm) and the Ed Greenwood Group (Blind Justice). In his work as a game designer, he has contributed to products from such companies as Wizards of the Coast and Privateer Press, and he is a lead creative consultant on Red Aegis from Vorpal Games. He lives in Seattle with his wife, cats, and dog. At the age of 10, Jeff Lee escaped into realms of fantasy through books and the blue box edition of Dungeons & Dragons, never to return, except for a few times when he was dragged back to reality, kicking and screaming all the way. Now that he realizes he can do this for a living, he’ll be much harder to bring back. 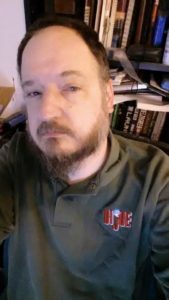 Jeff has written copious amounts of gaming material for EN World’s Trailseeker, Flaming Crab Games, Frog God Games, Gun Metal Games, Kobold Press, Louis Porter Jr. Design, Misfit Studios, Rogue Genius Games, Wayfinder magazine, and Wayward Rogues Publishing. He’ll likely write something for Paizo one day (notice me, Senpai!) 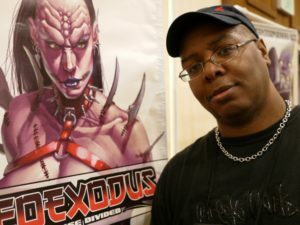 Louis Porter Jr. gave him his break into freelance writing, and he’s doled out such products as Usual Suspects, a slew of Treasures of NeoExodus Items, a couple of books on dragons, and material for the Obsidian Apocalypse campaign setting and the revised NeoExodus Campaign Setting. With a degree in game design, a career in online education, and experience editing multi-hundred-page settings, Michael McCarthy has some serious chops in getting words to work. He’s also a veteran of huge projects, having written entire adventure paths for AAW Games (Saatman’s Throne), Dreamscarred Press (From the Deep) and LPJ Design (Chronicle of the Gatekeepers, and Crisis of the World Eater ). 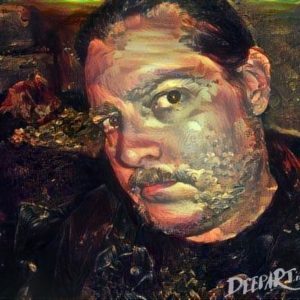 While he’s been playing Dungeons and Dragons in one iteration or another for about twenty years, he came onto the professional design scene in 2012 with the From the Deep adventure path by Dreamscarred Press. He’s worked with a variety of companies since then, notable AAW Games, LPJ Design, and Paizo – working on parts or wholes of projects. Now an eccentric recluse, Rich publishes digitally because it’s easier from his mountaintop fortress in Nepal. He has a harem of heavily armed first readers, and an army of bloodthirsty, opium-addicted, yetis who keep the children off his lawn. He subsists on a diet of mercury, sulfur, arsenic salts, and cheese. Allegations that he is a master of Sinanju and a former leader of the World Crime League remain unproven. The Patent Office lost all records of his inventing the interocitor, the Mr. Fusion home reactor, the flux capacitor, or the oscillation overthruster. Rich is a past winner of National Novel Writing Month. 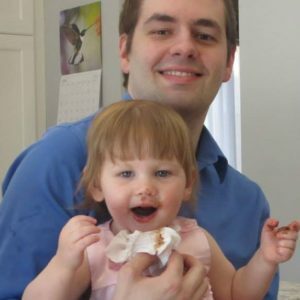 He has written for Wizards of the Coast, Super Genius Games, Paizo Publishing, and LPJ Design.